Welcome to the very first Small Business Spotlight on Everyday Nothings. I'd like to spend some time each month shining the proverbial spotlight on a small / family business. 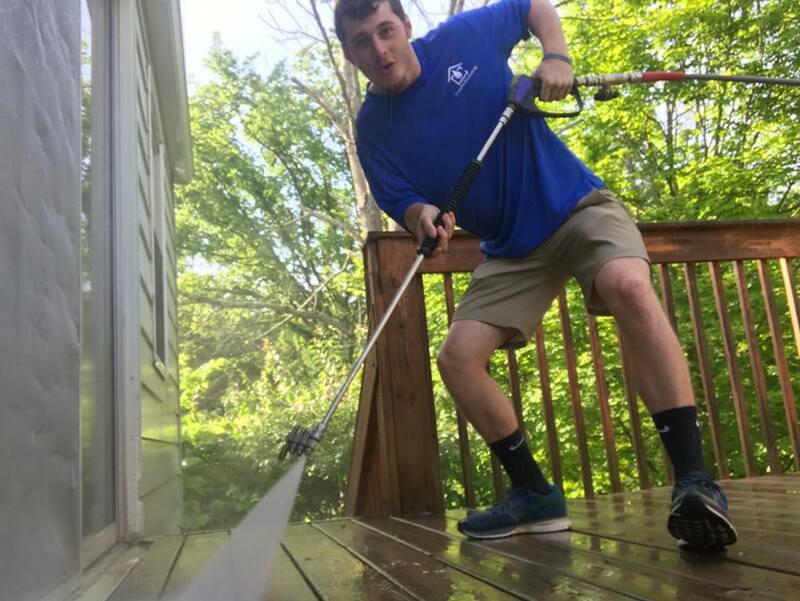 Up first, our own family-owned business, Pressure Wash Cincinnati. 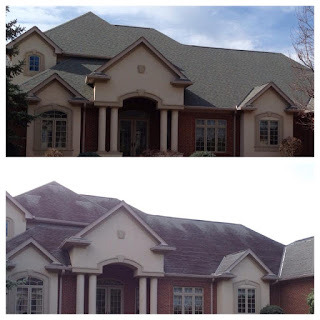 Pressure Wash Cincinnati started in 2012 as The ProServe Group, a professional services group specializing in home exterior services, and currently consists of Pressure Wash Cincinnati and Christmas Lights Cincinnati. Founder Jason Geiman had the idea while talking with his fellow firefighters at the fire house one shift. One of them mentioned that he thought there should be someone who went around and did pressure washing in the neighborhood. 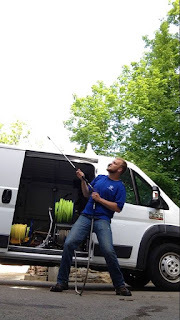 The idea stuck with Jason, and he started looking into the idea of starting his own pressure washing company. After he had done considerable research and talked with existing owners of pressure washing companies in other cities, he approached his wife, Jodi, with the idea. Once she had a grasp of the concept, she gave him her full support. Their hard work paid off, and by the next summer they were on track to double their business. Enter Jason's brother, Gary Geiman. 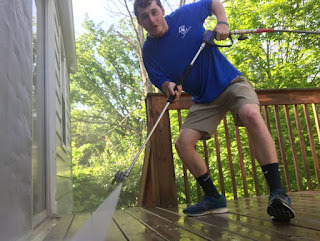 Jason & Gary had previously discussed the possibility of starting a business together, and had talked over several options, including pressure washing and carpet cleaning. With the business expanding rapidly, and Gary in a position to step in, the experienced sales professional came on board the summer of 2013 as the undisputed head of sales. With Gary taking over phone calls, performing quotes, and more importantly closing sales, Jason was able to concentrate on completing jobs, and keeping customers satisfied with top-notch work and customer service. In his nearly non-existent spare time, Jason started teaching himself marketing. The timing was impeccable, as Jodi needed to take a step back. Additional responsibilities at her full time job combined with a pregnancy made it less feasible for her to be as involved in the business had she had been before. Looking back, she sees God's perfect timing in what was a pretty stressful time. 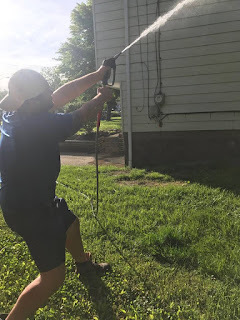 Gary's knowledge and experience in sales has been a boon to the business, and Jason has become a veritable expert at online marketing, which has helped to drive Pressure Wash Cincinnati to the success it is today. The growth of the company has been fairly aggressive, nearly doubling every year since 2012. This success has led to the hiring of additional employees, and Pressure Wash Cincinnati currently employees ten people, and runs three trucks full-time during the peak season, which runs from late Spring thru early Fall. In fact, the growth has allowed them to bring more members of the family on board. 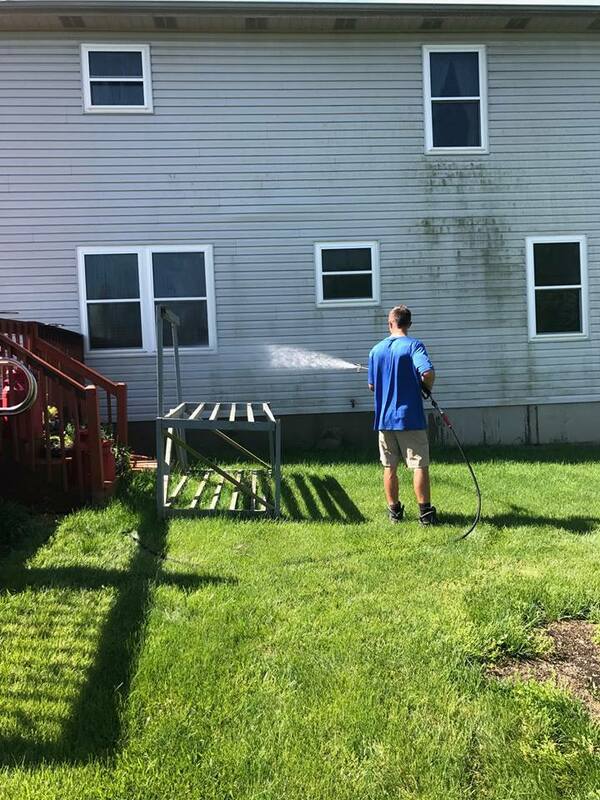 Gary's sons, Tyler & Garrett, have helped out with pressure washing almost since the beginning, and both have now come on board full time working in the field and assisting with sales calls. 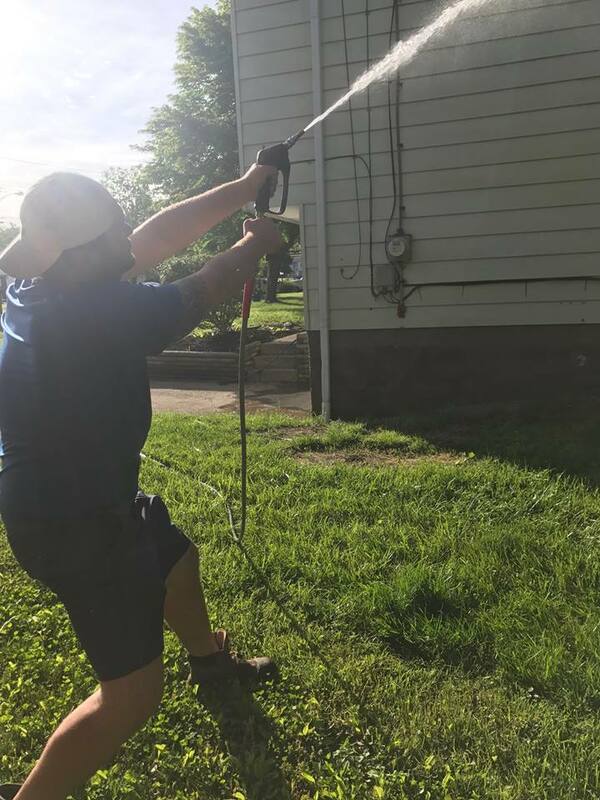 Gary's wife, Jennifer, joined the Pressure Wash Cincinnati team this year, performing vital assistance to the company in sales, accounting, and customer service. Jennifer's son, Sebastian, has begun helping Jason with the online marketing by creating videos. With growth comes the need to find great employees, a struggle many business owners, big & small, are battling. 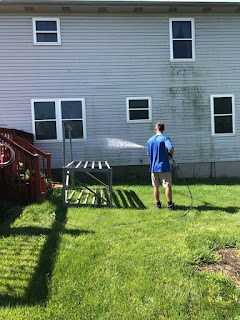 Pressure Wash Cincinnati tries to combat this struggle by paying their employees an above average monetary compensation and providing up to three weeks off per year. They hope to secure long-term employees that share their goals and vision by servicing their customers with the highest degree of satisfaction possible. Not only has their success led them to increase their hiring, they've also outgrown their physical location twice in just five years of existence. As with many small businesses Pressure Wash Cincinnati started out of Jason & Jodi's home in Northern Kentucky. In year four everyone realized that they needed additional space, and they leased a building in a neighboring town with better highway access for reaching their customers. The business outgrew that space in less than a year, and they have now moved to a larger space in Cincinnati. Not only does their new location provide them with the space that they need for a larger operation, but it is more central to their customer base as well, allowing them to serve their customers more efficiently. While entrepreneurship takes a lot of hard work and a lot of time, it isn't without its benefits. The Geiman family sees the flexibility of running their own business as the primary perk. You might work seven days a week at times, but having the ability to set your own schedule is a huge asset. Setting your own goals and seeing them thru to completion also creates a sense of satisfaction that many entrepreneurs struggle to find in a traditional work place. 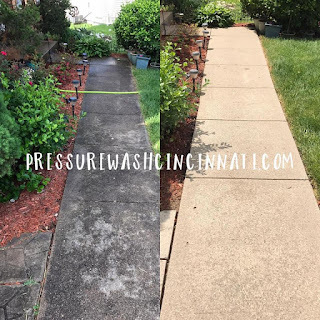 So what does the future hold for Pressure Wash Cincinnati? Expansion seems to be the future of this successful small business. With plans to expand into other cities within the next year, they see themselves with over ten franchises within five years, and hope to have handed the reins over to the next generation of Geimans within a decade. I hope you've enjoyed our very first Small Business Spotlight. 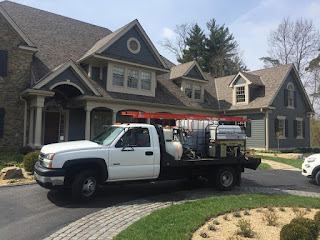 Interested in hiring Pressure Wash Cincinnati? Working for them? Visit their website at www.pressurewashcincinnati.com for more information, or call (513) 379-5450 to speak to one of their team. Interested in having your small and/or family business featured in our Small Business Spotlight? Contact Jodi at geimanj@yahoo.com. What a great family business! Thanks for including some tips for other entrepreneurs! We're Getting a Homeschool Room!